Black sizer with gold lettering. 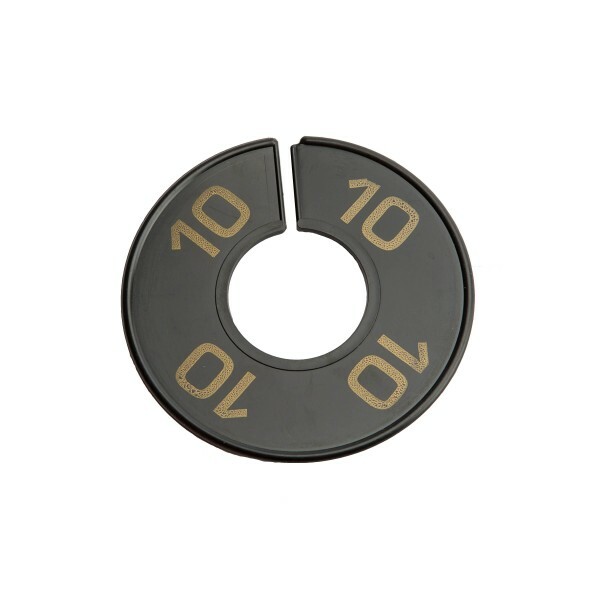 Round with hole in middle, made of quality plastic, number 10 is printed on it. Black sizer with gold lettering. Sold as each.